MJX Bugs 3 Mini Review  - Is it too affordable for what it offers ? Today, ladies and gentlemen, we’re going to take a closer look at a brand new drone made by MJX. 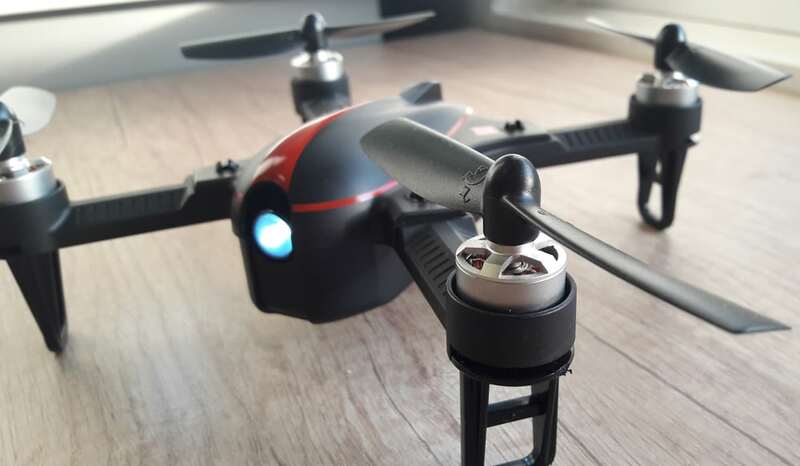 I’m sure you’re all familiar with their Bugs 3 model, a bulky brushless drone without altitude hold and simple action camera mount that made it a star among entry-level aerial photography drones. 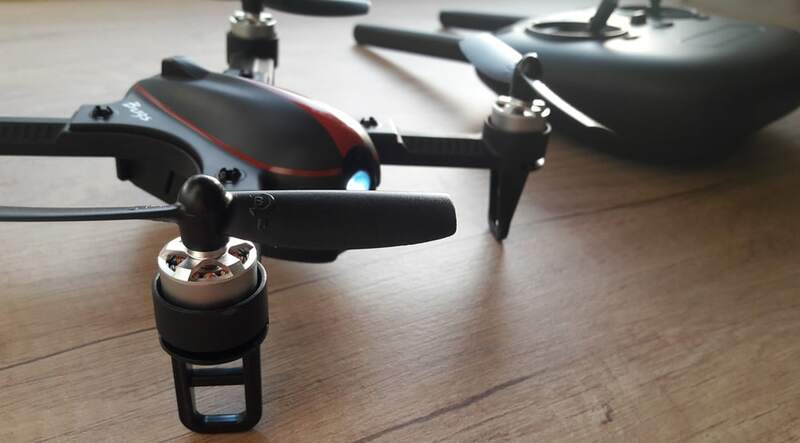 This time around, we’ll be taking a sneak peek at MJX Bugs 3 Mini Review… a drone which doesn’t have a lot in common with the original except for the appearance. So, without any further adue let’s jump straight to action! MJX has had a fair share of success in 2017. They’ve basically gone from being an unknown brand with a one-hit wonder (I’m referring to Bugs 3) to being a mid-tier leader thanks to their Bugs 2W. Instead, they’ve announced Bugs 3 Mini, a miniature, beginner-friendly sports drone with a lot of charm to its name. It might not be the biggest breakthrough out there, but with an aggressive price tag (and I’m sure MJX will continue with their aggressive pricing policy) and good performance, it ought to make a good name for itself. So, driven by that statement, I’d like to share with you my experience with this little bugger. I’ve been testing it for about a week or so and I got to say – I’m impressed. I won’t beat around the bushes for much longer, don’t worry… Here comes the review! As you’ll read more about this later, MJX Bugs 3 Mini is a gorgeous little drone. It looks exactly like the original together with that fancy snap-on canopy that protects its internals and makes easy wat for a camera upgrade. 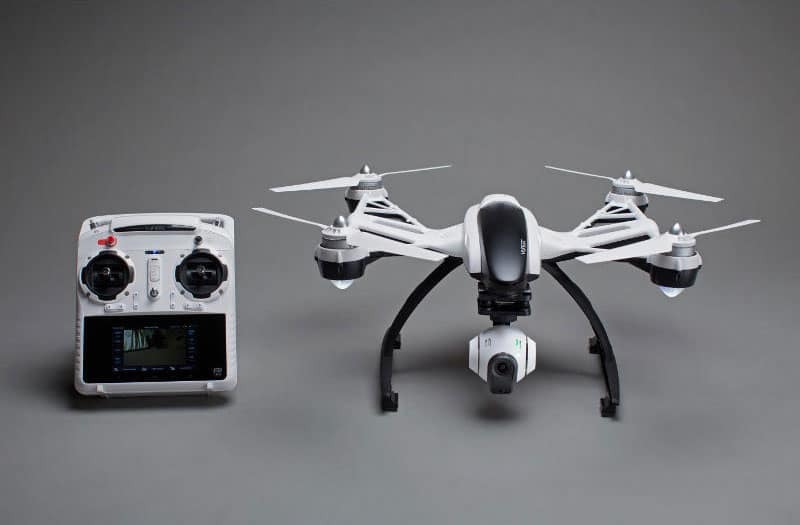 With up to 300 meters of operating range, I guarantee you will not find a drone at the same price tag going further away than this one. As a matter of fact, I don’t know a single one that can even touch the 200 mark. So with that being said, there is one thing for sure – you won’t be able to go out of range that easily with MJX Bugs 3 Mini! As far as flight performance is concerned, MJX Bugs 3 Mini is definitely up there with the best mini sports drones. It is extremely fast, agile and can do all sorts of maneuvers pretty easily. Best of all, it is beginner-friendly as well, allowing you to grasp on the controls in no time. If you are a more experienced user, perhaps the next pro will be more your cup of tea. In addition to the normal stabilized (AKA angle) mode, Bugs 3 Mini also sports the popular acro mode. In this mode, there is no stabilization whatsoever so it can get pretty difficult to control the drone at times. That’s why acro mode is only suitable for experienced pilots. Also, a good way of learning to control drones in acro mode is to practice in a simulator. There are plenty of free ones available. Obviously, the lack of a camera is going to be a huge turnoff for some people. It means you will only be able to fly it LOS which isn’t something that everyone loves. However, installing an AIO FPV system is a breeze so it’s not that big of an issue for DIY-inspired people. With dual bladed, self-tightening props, short landing “pads” and characteristic Bugs 3 canopy, MJX Bugs 3 Mini looks absolutely gorgeous. The canopy pops right off with just a little bit of force just like the one on fully sized Bugs 3. Once again, we are talking about a small, 175mm beginner-friendly racing quad. Even though there’s an obvious lack of a camera, this issue is pretty easy to deal with. All it takes is a bit of a DIY spirit. More info on that later on. In terms of internal hardware, B3 Mini offers solid choice across the board. The only real downside could be the implemented 4in1 ESC which is rated at only 4A. Of course, there will be no problems with B3 Mini stock setup… but it limits upgradeability. However, we’ll talk more about that down below in the modding section. For now, let’s continue with its hardware. 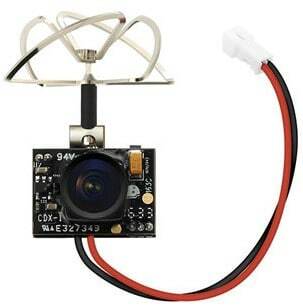 Besides that ESC board, you’ll also find (obviously) four 1306 2750Kv brushless motors. Yup – this little fella is a brushless beast meaning it won’t die on you after several months of use. Combined with a powerful 2S battery with high C rating, B3 Mini packs quite the punch. I was nicely surprised after the first couple of punches as there was an admirable consistency meaning there were no bottlenecks in the setup. So, as far as hardware and general performance are concerned, MJX has hit the sweet spot for sure! Just like the majority of other MJX drones, Bugs 3 Mini also sports a proprietary battery. There’s no on/off switch though, so as soon as you plug it all the way in you will hear the booting beeps. As for the technicalities, this mini quad is sporting a 2S 850mAh 45C LiPo battery. 7.4V promises plenty of power and 45C rating will surely be enough for some wicked punchouts. When it comes to flight duration, I was constantly getting close to 10 minutes with mine. Of course, I was punching it a lot and used Eachine TX02 with it. With mediocre flying, I’d say you can gove above 10 minutes for sure! Considering the size of this little fella, I really did not expect a lot of range from it. Neither were my colleagues for that matter. However, after our first range test, B3 Mini left us all speechless. Believe it or not, this little bugger can go up to 300 meters. 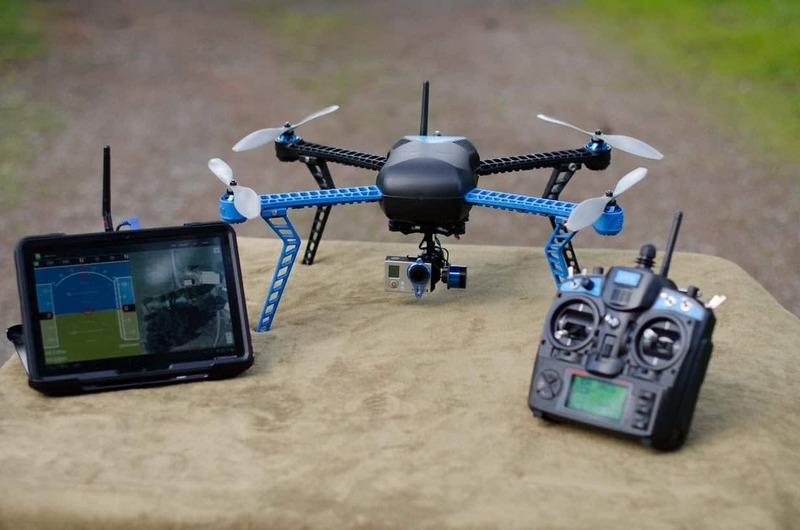 Our FPV system seemed like it would cut out before the drone itself which create a wow factor for all of us. So, with that being said, if you like exploring the surrounding area with drones then MJX Bus 3 Mini is actually a viable model. 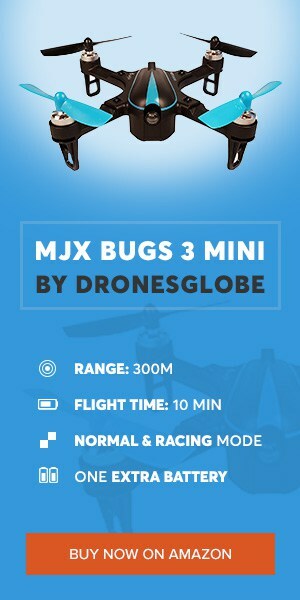 Features-wise, MJX Bugs 3 Mini makes one thing clear – it is meant for beginner pilots who want a responsive training drone. There aren’t too many gimmicks with this one to keep you off course. Instead, you’ll get low battery voltage alarm, out of range alarm, headless mode, and a special switch to flip between acro and angle modes. As far as mods go, there is one that is absolutely needed. It transforms this little bugger from a beginner-friendly toy to an awesome FPV racer capable of teaching you all the basics in a controlled manner. Of course, I am referring to an AIO FPV system such as Eachine TX02. It can be easily placed instead of the LED flashlight featured on the front. There’s no soldering required as there’s a miniature JST-ph connector. It’s easily accessible so there should be no worries in that department. As for the camera, secure it with a little bit of double-sided tape (or hot glue if you’re out of tape) and you’re good to go! Unfortunately, that’s about it as far as mods are concerned. This is due to the 4A AIO ESC board which won’t be able to handle tougher 1306 motors such as EMAX 4000Kv. Sure you can take the board out and replace it with another one but that’s going to be a burden since you’ll be working in a very tight and limited space. Then again, from what I experienced, MJX Bugs 3 Mini is pretty fast with the stock setup. The LED flashlight was roughly the same weight as the AIO FPV camera I mounted instead so the performance was not changed one bit. This little bugger was still lightning fast with an admirable level of maneuverability in both angle and acro modes. 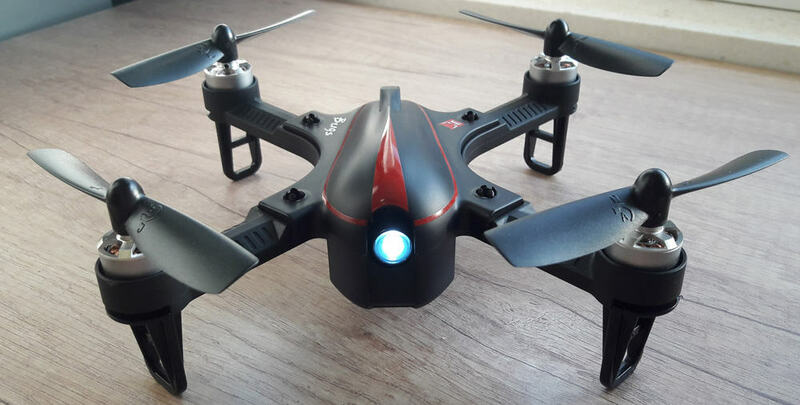 Let’s face it, there are several similar drones on the market but none of them come close to MJX Bugs 3 Mini as far as entertainment is concerned. This little bugger is fast, agile and when paired up with a solid AIO system it makes for a great learning FPV racing quad. I’m not sure whether this was planned or not, but that’s pretty much what MJX Bugs 3 Mini ended up being – a versatile mini quad capable of light strolls and fast-paced racing. Honestly speaking, the mix is unbelievably well done up to the point that I can’t wait for this thing to come out already. Why? Well, let’s just say I wasn’t that good with Christmas presents this year and several MJX Bugs 3 Minis will be my redemption! thanks for the fine review. I agree 100%. Did you ever try MJX own camera?